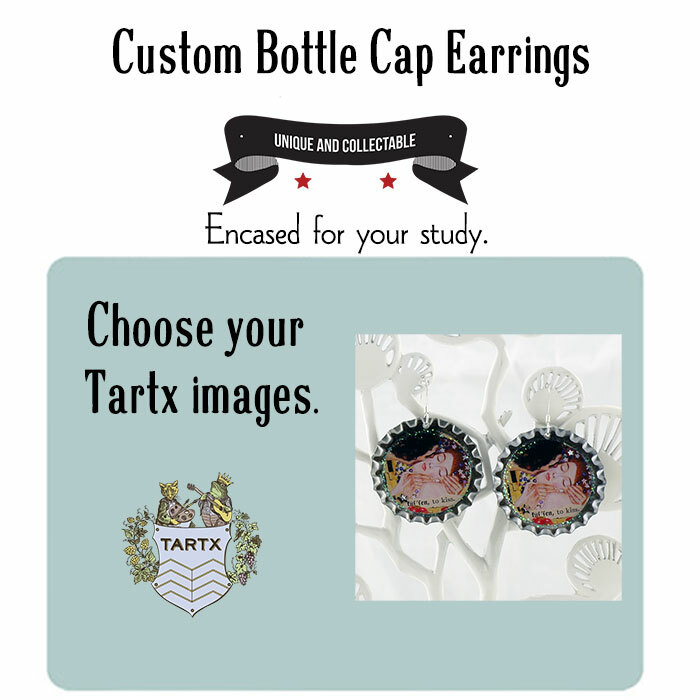 See an image in the Tartx store that is not yet available as a pair of bottle cap earrings? 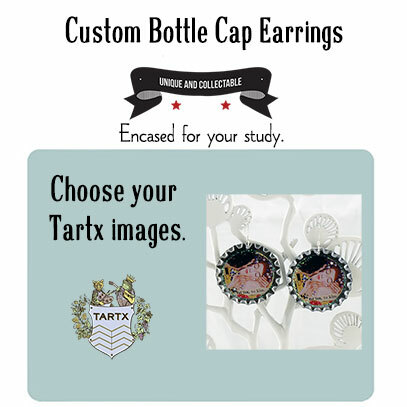 For the Tartx image this can be from a Sterling Silver Pendant image, one of my prints - basically anything in the store that is not currently listed in this Earring category. 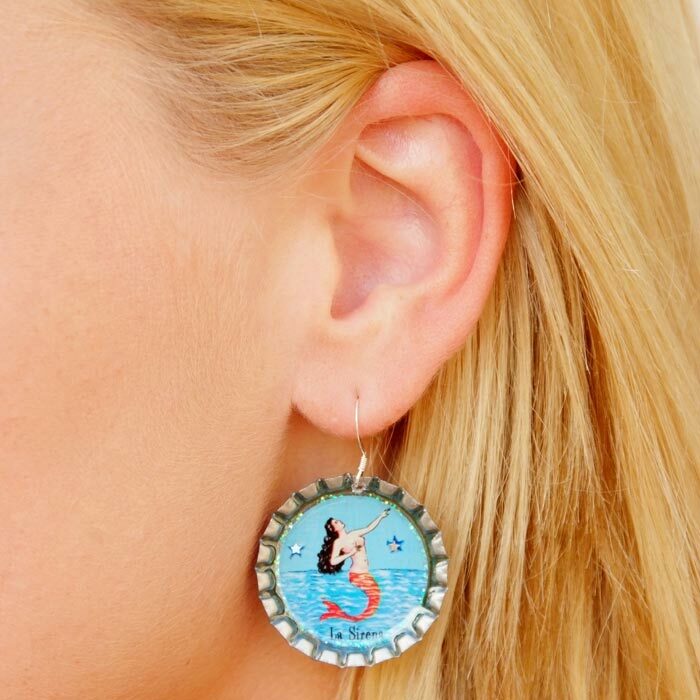 The hanging charms are the same charms that are on the bottle cap necklaces. 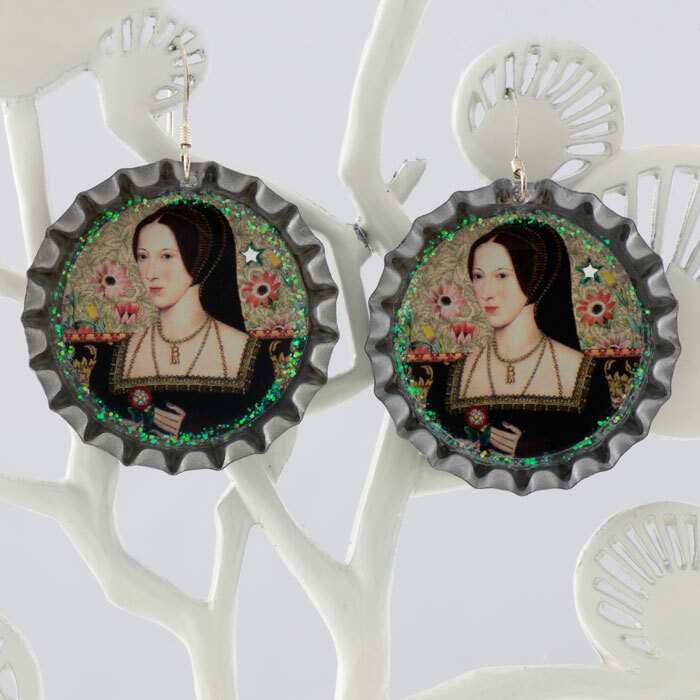 Dimensions: Bottle caps are 1 and 3/16 inch diameter. Made from unused bottle caps with the edges still flared so that they are not sharp. 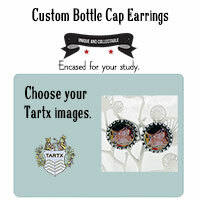 Custom made per order - and will ship within 5-7 business days.